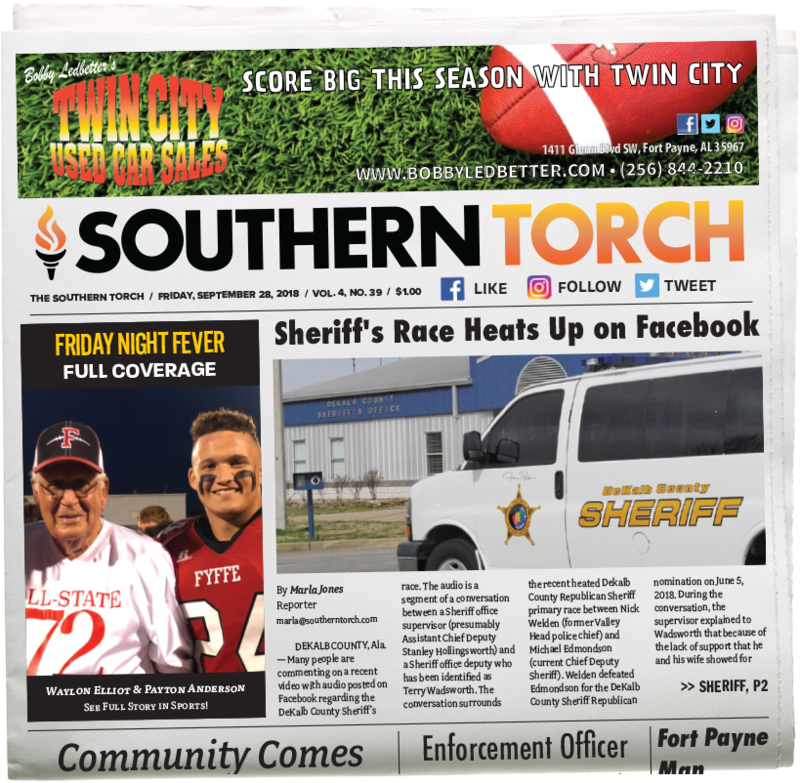 MENTONE, Ala. — In the last week, two new business have set up shop in Mentone, and another landmark business that was destroyed by fire late last year, reopened to serve the community! The “Barnyard” offers anything one could desire in a breakfast dish, and includes: Ham, Bacon, Sausage, Eggs, grilled potatoes, scrambled together with Melted Cheese! Buttermilk Fried Chicken Breast, Coco’s Potato Salad, and Creamed Spinach. 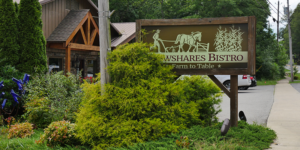 The “Plowshare Bistro” will be serving food made with ingredients from the Farm at Windy Hill and breads from a local baker. They will be serving a Full Breakfast, Lunch, and Dinner, and will be open from 8 am to 8 pm (open until 9 pm on Fridays, and closed Wednesdays). On Sundays, the restaurant will also hold “Sunday Brunch” every Sunday. 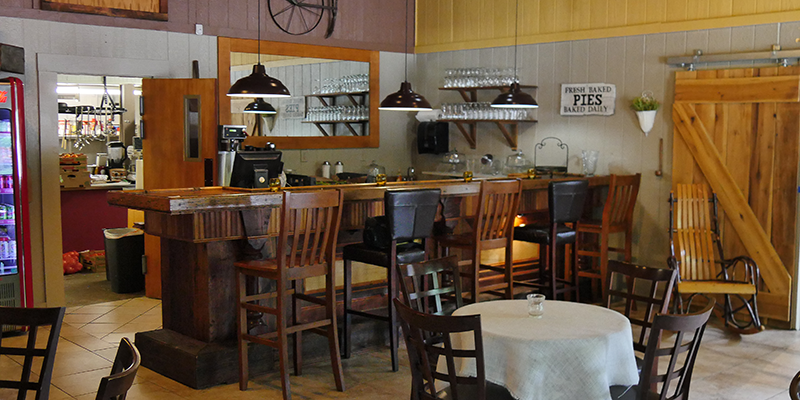 The restaurant has also applied for an Alcohol Permit, which should be approved soon. Valinda Miracle, of the famous “Miracle Pottery” has set up shop in the showroom next to Plowshare! For years, customers have visited her location in Valley Head, and Valinda brings her talents to Mentone. While recovering from a serious automobile accident in which she sustained, Valinda, a bright, ambitious woman, realized that her promising career in real estate was over. During her rehabilitation therapy, she discovered that her short-term memory was improved by doing something more creative, like pottery. 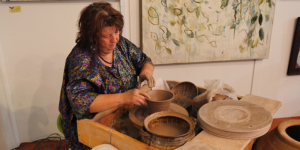 The result was a new career as an artist, her pottery now showcased in her store – Miracle Pottery. 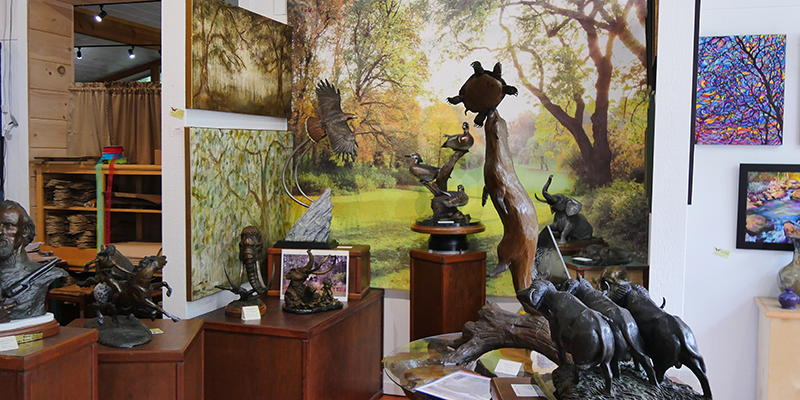 The gallery will also boast work for other local artists, such as the famous bronze work of Carl and Betsy Scott McClesky, who depict wildlife in their work. After eating farm fresh food at Plowshare, visit Valinda next door to see her famous works! 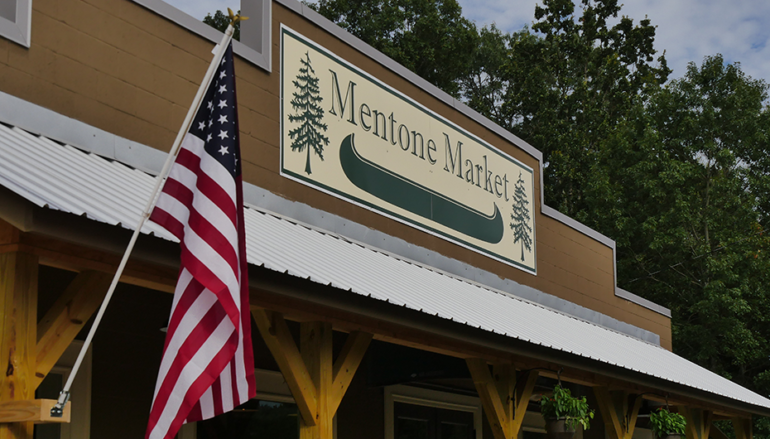 After a devastating fire destroyed the old Mentone Market the day before Thanksgiving, owners Tom and Kristen Emory were determined to bring back Mentone’s favorite store. 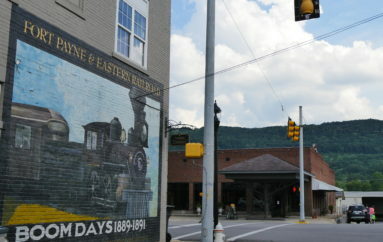 While the new location has a new look and feel, Tom stressed that the store will retain it’s traditional role as a, “place where people can socialize.” He noted that the store had been open since the 1920’s and many customers who remember the store from their childhood where now bringing their grandkids to the store. 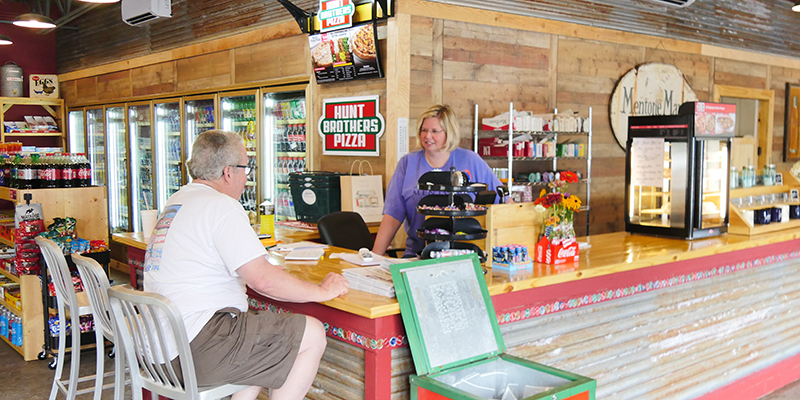 The new store still retains the hometown feel and the modern update still has a rustic, mountain style that matches the town in which it has resided for so many years. 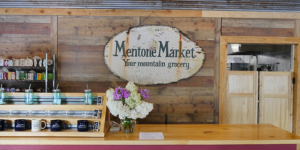 Be sure to stop in to Mentone and check out these new businesses for good food and hometown, friendly service!